Genuine OEM Okidata Transfer Belt, 60,000 page yield. Okidata part number: 57111601. 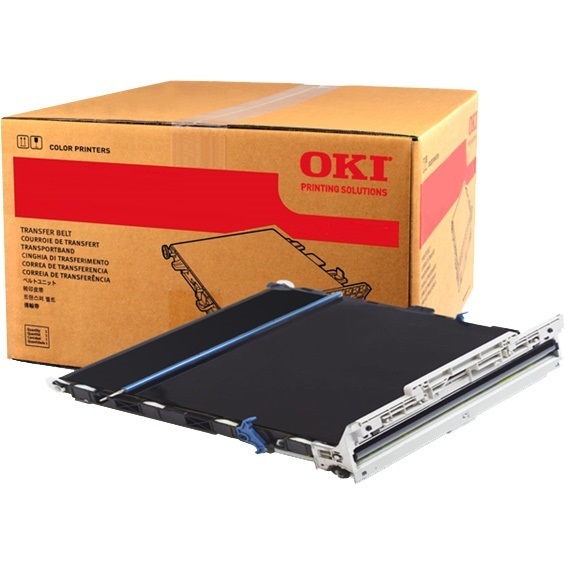 Transfer Belt compatible with Okidata MPS3537mc, MPS4242mc. Genuine OEM Okidata Toner Cartridge, Cyan, 10,000 page yield. Okidata part number: 45396223. Color Laser Toner Cartridge compatible with Okidata MPS3537mc, MPS4242mc. Genuine OEM Okidata Toner Cartridge, Magenta, 10,000 page yield. Okidata part number: 45396222. Color Laser Toner Cartridge compatible with Okidata MPS3537mc, MPS4242mc. Genuine OEM Okidata Toner Cartridge, Yellow, 10,000 page yield. Okidata part number: 45396221. Color Laser Toner Cartridge compatible with Okidata MPS3537mc, MPS4242mc. Genuine OEM Okidata Toner Cartridge, Black, 12,900 page yield. Okidata part number: 45396224. Laser Toner Cartridge compatible with Okidata MPS3537mc, MPS4242mc. Genuine OEM Okidata Image Drum, Cyan, 30,000 page yield. Okidata part number: 45395719. Image Drum compatible with Okidata MPS3537mc, MPS4242mc. Genuine OEM Okidata Image Drum, Magenta, 30,000 page yield. Okidata part number: 45395718. Image Drum compatible with Okidata MPS3537mc, MPS4242mc. Genuine OEM Okidata Image Drum, Yellow, 30,000 page yield. Okidata part number: 45395717. Image Drum compatible with Okidata MPS3537mc, MPS4242mc. Genuine OEM Okidata Image Drum, Black, 30,000 page yield. Okidata part number: 45395720. Image Drum compatible with Okidata MPS3537mc, MPS4242mc.